Outback Queensland may just be Queensland’s destination du-jour, as a new visitor expenditure record was set in the National Visitor Survey (NVS). 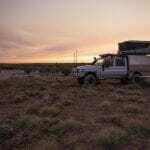 According to the latest NVS data, Outback Queensland broke its own record, with domestic overnight visitor expenditure reaching $501.6 million this year. The spend reflects a 10.4 per cent year-on-year increase, which nearly doubles the State-wide trend. Queensland saw a 5.5 per cent year-on-year spend increase to overall visitor expenditure, in line with Australia-wide expenditure levels, which were also up 6.6 per cent. With a total 791,000 visitors coming to Outback Queensland each year and the prospects of continued 12 per cent year-on-year growth, the future’s bright for the region west of the Great Dividing Range. General Manager of Outback Queensland Tourism Association, Peter Homan, is pleased to see the region flourishing and anticipates the positive growth spurt will continue. “It demonstrates how important things such as events are to our region, bringing thousands of people to experience the destination who continue their stay long after the event is finished” Homan said. The National Visitor Survey revealed a total visitation of 792,000 at a 12 per cent year-on-year, with an intrastate visitation of 632,000 at a 17.4 per cent. Holiday visitation rose to 251,000 at a 6 per cent year on year increase while business visitation increased 46.9 per cent year on year to 347,000. The average length of visitor stay was 3.9 nights. Business travellers continue to be the largest portion of domestic visitors to Outback Queensland.